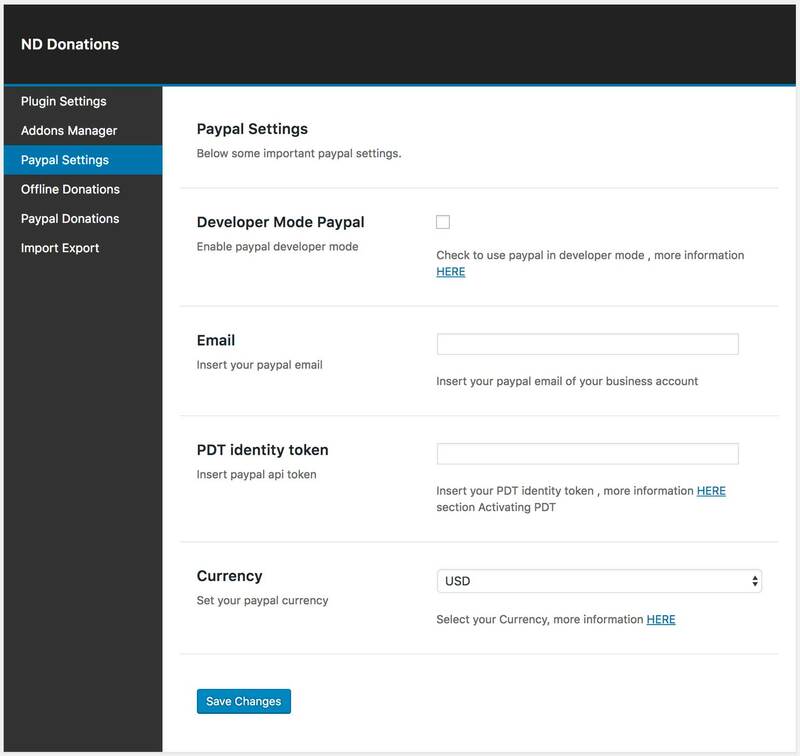 The plugin supports paypal as a payment method to receive your donations, configuring your paypal account is very simple, access the settings you see in the image below by clicking on Donation Plugin -> Paypal Settings. As I said before to create the PDT token and set the automatic return to the site after the correct payment procedure you can follow the information at this link. Note : If you have trouble creating your key, ask to paypal support, since I can not enter into your paypal account. Remember that the link you need to set for automatic return is the link to the “Thank you Page” page where you entered the shortcode [nd_donations_thankyou], more information in the “Plugin Settings” section.